A proposed liquor store at 20th and Ohio is raising concerns from some neighborhood groups. The Blue Nile Corner Store is in the process of applying for its liquor license near 20th and Ohio and would sell beer, wine, and liquor. It will sit in a now-vacant building on the street corner. The Omaha City Council voted unanimously in approval of the shop's Class D Liquor License on August 28th. The Nebraska Liquor Control Commission will hold a public hearing October 9th at 2:30 on the liquor license. The commission will hold a vote to either grant or deny the liquor permit. 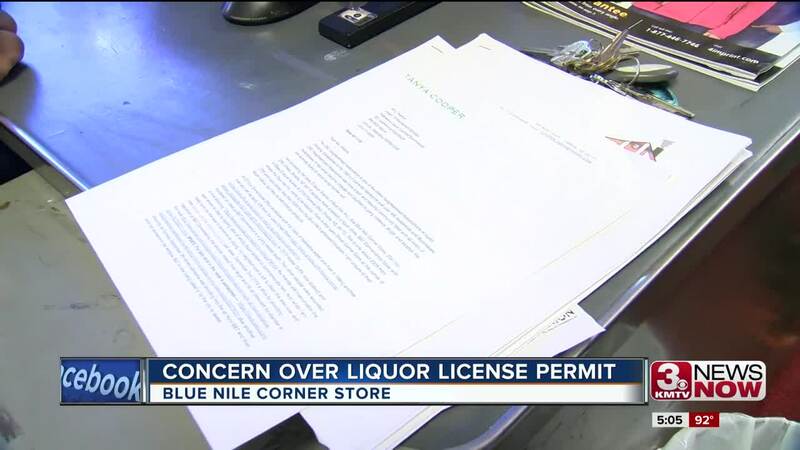 The location of Blue Nile Corner shop is causing concern from neighborhood groups about the close proximity to other convenience stores which sell liquor. It is a little more than 300 feet from the B&T Convenient and Liquor Store, which was the site of the murder of 19-year-old Walter Griffin in 2017. On September 2nd, a drive-by shooting injured a woman who was sitting in her car outside B&T Convenient and Liquor Store. And down the street near 20th and Lake, a man was found dead of a gunshot wound to the head near the site of A&C Convenient Store back in 2016. Tanya Cooper, president of the OIC Neighborhood Association, says these incidents show a pattern of crime surrounding the convenience stores. She believes bringing another one to the neighborhood will contribute to crime. "People are very upset. They think it's ridiculous that this is happening," said Cooper. "That's just the way the law is - it says that a liquor store can be on every single corner." "We don't see liquor stores on every single corner out west. You only see them in disadvantaged areas," said Cooper. Other neighbors that live in the area near the proposed site of Blue Nile Corner Store believe the business will add to the neighborhood and will turn a vacant building into a revenue opportunity. The Nebraska Liquor Control Commission will consider the Blue Nile Corner Store's permit in October.